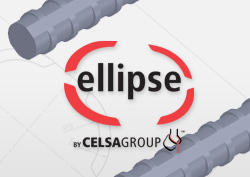 The companies that operate under the CELSA GROUP™ brand have become situated among the leading steel producers in Europe. opportunities in its global network. Celsa Barcelona purchasing departments forms part of the Celsa Group purchasing organisation. We purchase all those materials, services and elements necessary for the production of long steel products. Counting on the know-how of our suppliers and a spirit of partnership we apply a purchasing policy of continuous improvement in terms of Quality, Cost and Service.